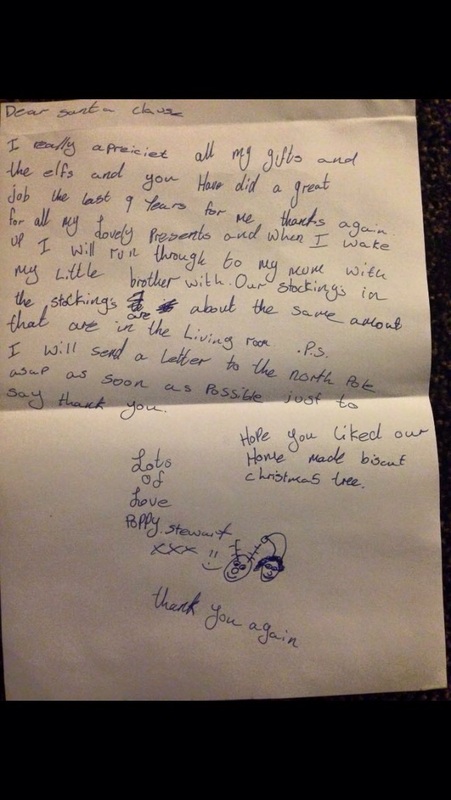 Nine-year-old Poppy Stewart sent a thank you letter to Santa, and it's far more than I can cope with today. You know what tugs the heartstrings the most? 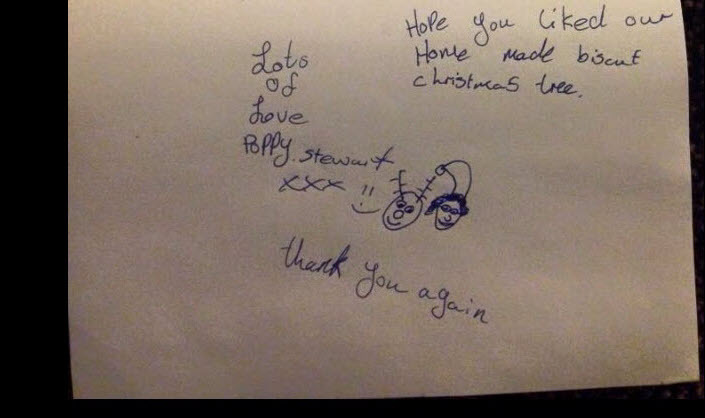 Poppy wrote this letter before she'd even opened her gifts. She didn't care what they were, she was just grateful to receive them. Sending your own thank you cards? I challenge you to express your gratitude with the heartfelt joy of a 9-year-old on Christmas Eve. I really appreciate all my gifts and the elves and you have did a great job the last 9 years for me. Thanks again for all my lovely presents and when I wake up I will run through to my mum with my little brother with our stockings. In the stockings are about the same amount that are in the living room. P.S. I will send a letter to the North Pole asap as soon as possible just to say thank you. Hope you liked our home made biscuit Christmas tree.